The customer today is well informed and knowledgeable and expects something more from the businesses around. They demand solutions to their procured services and also give their feedback and suggestions. 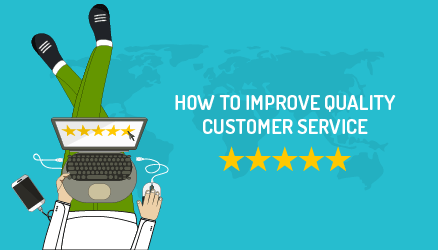 These feedbacks and suggestions should hold the highest priority in your business because these affect their future purchasing decisions as well. But, above all customer wants some reassurance time and again that you are providing the best service around, giving special attention to their services and answering their queries promptly. Satisfying the modern customer is no easy task and in this technology-driven environment, you need be in level with your competitors in providing the best possible service to increase the number of your loyal customers. At SparkTG, where our service revolves around your customer’s satisfaction and gaining his trust, we believe in uplifting our service quality with our three golden rules of Privacy, Security, and Compliance. These are the three strategies that are undertaken to ensure that our solutions have a high-security standard and our customer works in peace. We employ our best engineering practices and ensure that the communication between SparkTG solution and the user is concealed from any unauthorized access or your other customer. With the most secured development strategy in hand, data is transferred safely without any information leakage. A dedicated team of professionals is at your beck and call to respond to any urgent alerts or messages so that you can concentrate on your primary business operations and let us shoulder your security concerns. We are proud to say that with our prized services we create a positive impact on our customers and create a relationship based on mutual trust and respect.